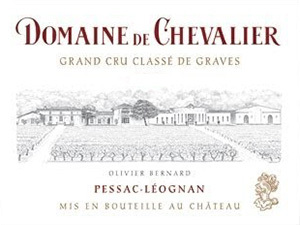 The 2015 Domaine de Chevalier has an enticing bouquet with very pure redcurrant, raspberry and blackberry notes, briary and cedar emerging later. This is wonderful and very seductive for anyone with a penchant for classic Pessac-Léognan. The palate is smooth and fleshy on the opening with silky tannin, plush red berry fruit with supremely well-integrated new oak. You could almost broach this now, such is its approachability, but it will surely improve over the next 20 or 30 years because its structure is discretely hidden at present. Anticipated maturity: 2020 - 2050. The 2015 Domaine de Chevalier is a blend of 65% Cabernet Sauvignon, 30% Merlot and 5% Petit Verdot picked from 23 September until 15 October at just 35 hl/ha, matured in 35% new oak. It has a sophisticated bouquet that is more reserved than its peers. It possesses one of the most precise, detailed aromatic profiles that I have encountered from this estate, wonderfully poised with black fruit, incense and cold stone. It has wonderful focus and class. The palate is medium-bodied with very fine tannin, very complex with lightly peppered black fruit. What marks this Domaine de Chevalier is the reserve and precision on the finish, a wine that is holding something back for its secondary evolution, a salinity that beckons you back for another sip. What a fabulous, intellectual wine from Olivier Bernard. Expect four decades of drinking pleasure - probably more - given my experience of ancient vintages. Tasted three times with consistent notes. Drink 2022-2055. Tasted blind. Neat and luscious and sweet. Very slightly tarty. But it beguiles. Much richer than most previous vintages. Great tension and subtlety. Extremely savoury - almost salty - with freshness and ripeness. Not one of the deepest colours. Lovely appetising low-key classicism. Bravissimo à tous! This much respected property in Pessac-Léognan is run with great care by Olivier Bernard whose family took it over from Claude Ricard in 1983. During the 1980s and 1990s there was a programme of replanting and it is only since the early 2000's, with the vines reaching maturity, that the quality here has returned to that of the great vintages of the 1960s and before. Without doubt, the best vintages of Chevalier are the most recent ones. Domaine de Chevalier performs brilliantly every year now, but prices have remained reasonable. Also one of our best-selling wines en primeur. The blend of the 2015 is 65% Cabernet Sauvignon, 30% Merlot and 5% Petit Verdot. Deep ruby colour with a fresh blackcurrant and graphite nose with a hint of black truffle and tobacco. The palate is smooth, refined and elegant with classic Graves cedar and blackcurrant. The tannins are refined and smooth but firm enough to frame the palate. The sweet vanilla and nutmeg from new oak adds a layer of complexity and gives a touch of sweetness to the long finish. Bright and fresh the nose has fragrance and bright black fruits the start of the palate a mix of bilberry and bramble. Rich and ripe in the middle the fruit underpinned by fine tannins but it fills out at the back supple and ripe with sweet fruit giving depth on the finish. the plummy, fruitcake-like flavours beneath. The acidity brings freshness to the finish. handled because it leads with fruit and not oak and the tannins are juicy and mouth-watering and not dry or astringent. Gentle handling is the key here and even though this is a big wine is it still impeccably balanced.